Discovery Kids in Latin America has ordered two more seasons of preschool animated series Doki from Canadian producer Portfolio Entertainment. The Toronto-based company will produce seasons three and four of the show, which follows a globetrotting cartoon canine and his five friends as they explore distant lands and cultures. 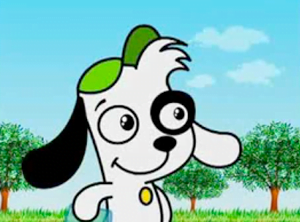 The series spearheaded the pay TV channel’s original programming push in 2012, having originally been the network’s animated mascot. The 48×11′ new episodes, plus 2×30′ specials, will be animated by Portfolio Animation, the company’s recently opened studio located in Toronto. Pre-production has already begun with delivery starting in September this year. Asian nets know a lot about PortfolioPortfolio seals Doki dealsDoki delivers new broadcast dealsDoki to be caught on Hop!